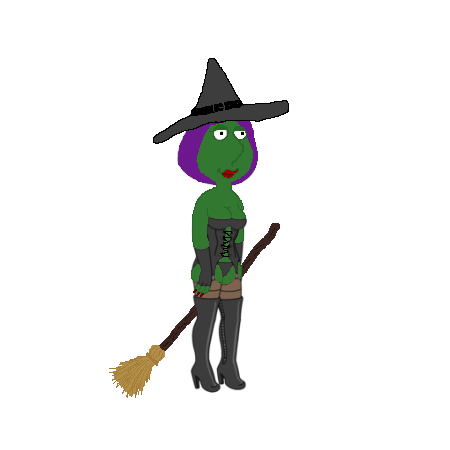 This entry was posted in Special Event and tagged Colonel Mustard, Family Guy Addicts, Family Guy Addicts The Quest For Stuff, Family Guy Game, Miss Scarlett, Muriel Goldman, New Event, The Clue Event. Bookmark the permalink. I’ve contacted them again by email this time regards this new error message. In the meantime, could you please contact them yourself too regards this error message so that they can solve this with a fix ASAP as it’s soooo frustrating falling backwards by not being able to keep up my progress in collecting the items required to unlock Muriel and Col. Mustard? 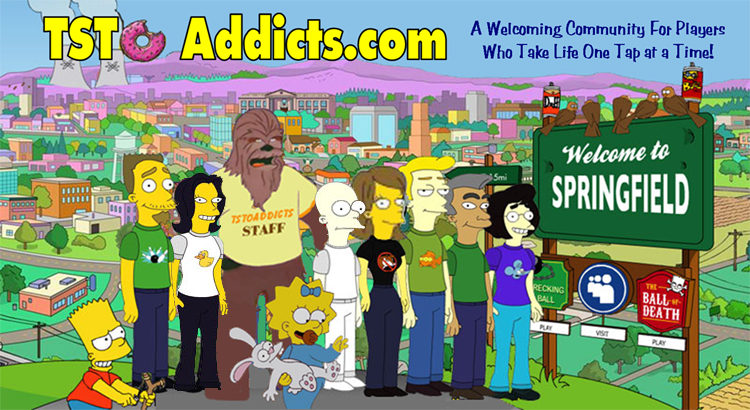 I’d appreciate it immensely if you could contact them personally for me. 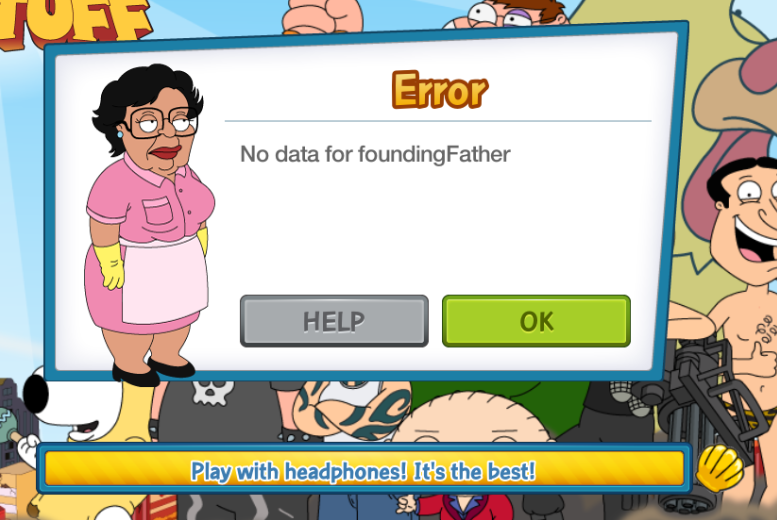 Hi, you’ve fine right thing as it means they’ve tried add Founding Father to your game but something’s went wrong. Same happened to me but they managed get it fixed. Fingers crossed you’ll be playing soon. Could you please contact TC/JC for me as well regarding this problem so that they may fix the problem ASAP? How do I get to solve this?